Us Brits are a frugal bunch. Constantly concerned with our personal finances, savings and pensions, we’ve got being thrifty down to an art. But one thing we don’t mind splashing out on is Champagne. By far the biggest export market on the planet, we have been guzzling French fizz like there’s no tomorrow for centuries. 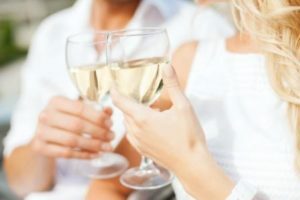 A celebration just isn’t a celebration without a bottle of Champagne to mark the occasion and despite some tough economic climates, we have remained the world’s biggest consumers. So what is behind this famous love affair? 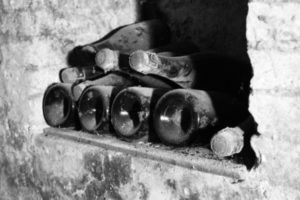 I believe that the thanks lie with our ancestors, who have passed down a passion for Champagne through hundreds of generations. Originally a still wine, Champagne was transported to the UK in wooden wine barrels as early as the 17th Century. The low temperatures over here were responsible for a second fermentation to occur when the wine was bottled and this created a pleasant fizzy wine. Deciding that we quite liked these bubbles, English scientist Christopher Merret documented the process in 1662 and thus introduced “sparkling Champagne” long before the French had cottoned on to its appeal. The new drink grew in popularity at a dramatic pace and literary figures such as the poet Samuel Butler and playwright George Farquhar started to honour sparkling Champagne in their works. And thus true love flourished. Our History is littered with Champagne fanatics, in particular the late Sir Winston Churchill, who famously rallied the British troops during the Second World War with the phrase, “Remember gentlemen, it’s not just France we’re fighting for, it’s Champagne!” Sir Winston loved Champagne so much that Pol Roger have even named their Prestige Cuvée after him and their visitor’s lounge in Epernay has been designed to look like a 1940’s English gentleman’s living room. Later on in our rich History, a British man was officially recognised as the Biggest Consumer of Champagne by Guinness World Records. This well-deserved title was awarded to Bobby Acland in 1983, who was reported to drink over 1000 bottles per year! We can only begin to imagine what his parties must have been like! And even today, we are staying true to form and splurging outrageous amounts in the name of Champagne. Take British entrepreneur, Charles Shaker, who last year spent £330,000 on a single round of Champagne! 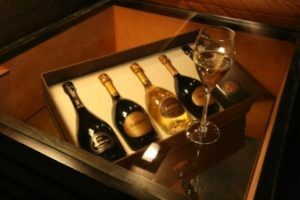 The extremely rare “Dynastie” bottle of Armand de Brignac Brut Gold was so enormous that it took 12 people to serve it. Again, that is another party I really wish I had been at! It appears that our eternal love of bubbles is just as strong as it was four Centuries ago and long may it continue!